Everest base camp trek, Gay friendly trek with Outside the Square Travel Adventures - Outside the Square. Tours for the "almost independent" Gay Traveller and their friends. 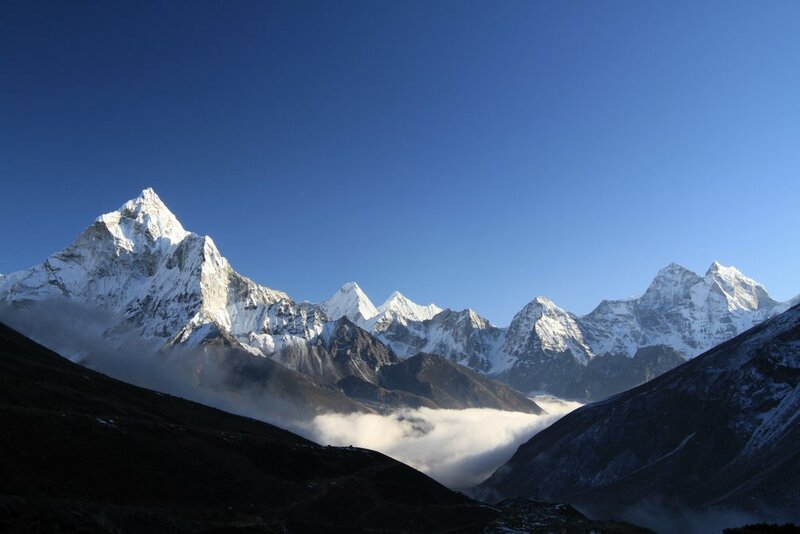 Everest Base Camp trek is an unforgettable expedition in the lap of the tallest peak of the world. First conquered by Tenzing Norgay Sherpa and Sir Edmund Hillary in 1953, Everest Base Camp has traditionally been the ultimate goal for the high altitude trekkers. 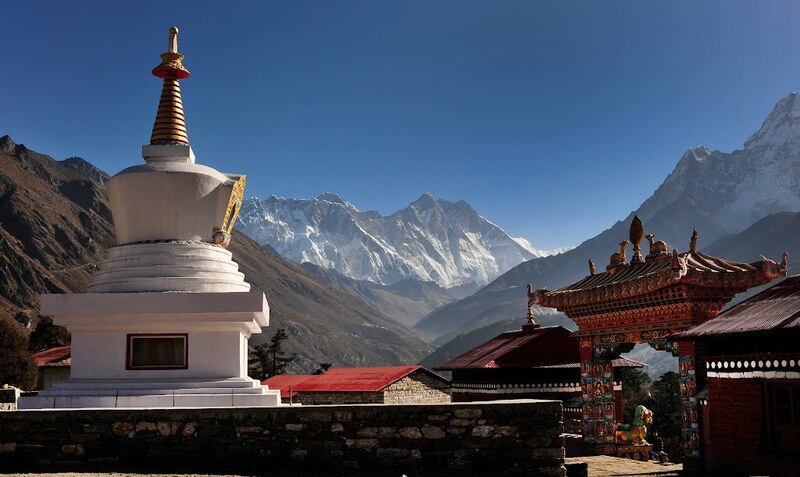 Our carefully devised itinerary with a number of rests at Namche Bazaar and Dingboche gives you an opportunity to explore Thamo and Chhukung Ri. This offers you an opportunity for acclimatization. A gradual ascent through typical Sherpa villages gives you ample time to enjoy the scenery, wildlife and visit a number of monasteries. 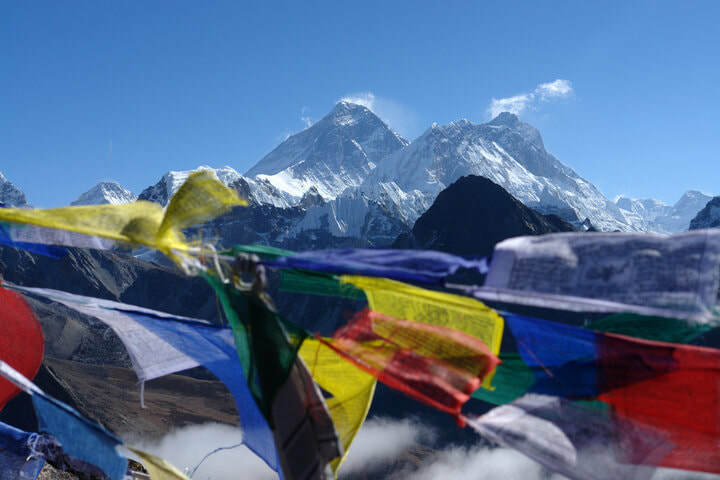 Our goal is Everest Base Camp on the Khumbu Glacier and the opportunity to climb Kala Patthar (5545m), a viewpoint recognized as the best vantage point to see breathtaking view of the highest peak in the planet. Arrival at Tribhuwan International Airport, Kathmandu. Traditional welcome by our airport representative. Your guide briefs about your further programme. Typical Nepali dinner served in the evening. You will be taken for sightseeing of Kathmandu Valley to explore the vibrant city after breakfast at your hotel. Drive to famous Buddhist Stupa Swayambunath, also known as Monkey temple, on the hill of Kathmandu Valley where you can see stunning view of mountains and Kathmandu valley. This temple attracts Buddhists and tourists from around the world. Swayambhunath Stupa is the most ancient and enigmatic of all the holy shrines in Kathmandu valley. Its lofty white dome and glittering golden spire are visible from far and wide. Next is Pashupatinath, the temple of Lord Shiva. This is probably the most famous temple for Hindu in Indian Sub-continent. There is crematorium beside the temple where dead bodies are burnt to ashes. After exploring Pashupatinath you will visit fascinating sights of Patan Durbar Square, one of the most glorious examples of traditional Nepalese architecture, full of centuries old temples and palaces. Evening welcome dinner and a visit to lakeside so see the ''Chat'' festival happening. You will take stunning flight to Lukla from Kathmandu. You will meet with the trekking crew upon arrival. Following a short tea break you will trek northwards up to the valley of Dudhkoshi. Descend from the small plateau into the forested valley. The trek is very easy and short today. However, the difference in altitude, in comparison with Kathmandu, can make you feel a bit difficult. After lunch you trek north towards Phakding. The trail crosses several streams and you finally reach to Phakding (2650m). You will spend your first night in this settlement from where you will have tantalizing views. Hike to Namche Bazaar through farmland and settlements. You will follow the Dudh Kosi northwards. This day walk takes you through magnificent forests of rhododendron, giant fir and magnolia trees. You will cross the west fork of the river, the Bhote Kosi, and start the steep climb to Namche Bazaar. Namche is the largest Sherpa village which is called as gateway to Mount Everest. 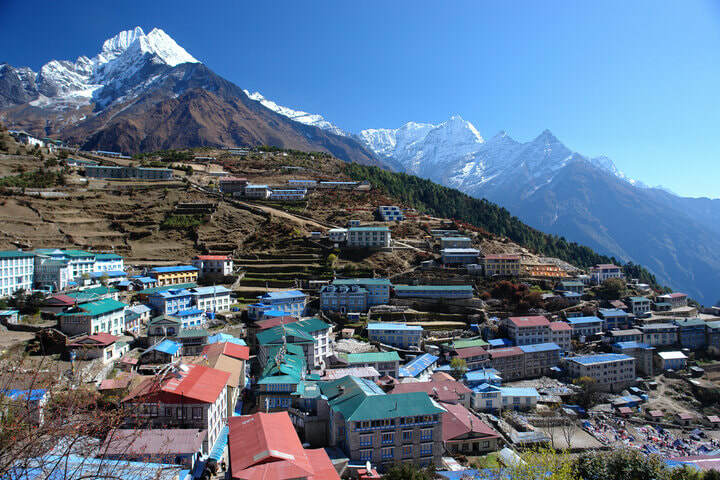 Namche is a prosperous Sherpa village and an important trading center as well. Locals from various villages gather during the weekly bazaar and sell fresh foodstuffs. You will take rest in Namcha and explore the village Thamo or Synboche. Make yourself fit, physically and mentally, for the further journey. This day is for acclimatisation. We suggest you to stay active even in the rest day so that it will help you for the further trekking. The route from Namche to Tengboche is unbelievably beautiful – the Dudh Kosi is far below and Thamserku, Kantega, Ama Dablam, Lhotse and Everest rise in the front. This lovely walk is full of woods, rhododendron forests, mani walls, chorten (stupas), and suspension bridges across the river. After breakfast visit the beautiful Tenboche Monastery. Hear the story of Yeti from Lama and if possible see the praying. After this descend to a lodge in Debuche. After lunch trek to Dingboche. The trek is very beautiful. It is one of the most beautiful valley walks in the earth. Overnight in Dingbuche. This is an acclimatization day. An acclimatization day here can be used to hike up the Imja Khola to Chhukung or Nagarzhang Peak, a small summer settlement from where stunning views of Island Peak, Lhotse, Ama Dablam and the fluted ice walls flanking the Amphu Lapcha pass can be seen. Make fit yourself for the further journey. Physiologically prepare yourself for adaptation to changes in climate or environment. We recommend you to stay active even in a rest day as it is better than being idle while on a trekking journey. The ascent towards Everest Base Camp continues through alpine meadows and summer yak pastures towards the end of the moraine of the Khumbu Glacier. It is a steep, tough climb towards the village of Gorak Shep. Trek continues towards Lobuche where the view is straight towards Nuptse and the sunset is truly magnificent. The higher altitude makes this day's trekking quite challenging. Trekking from Lobuche to Gorak Shep is very challenging. 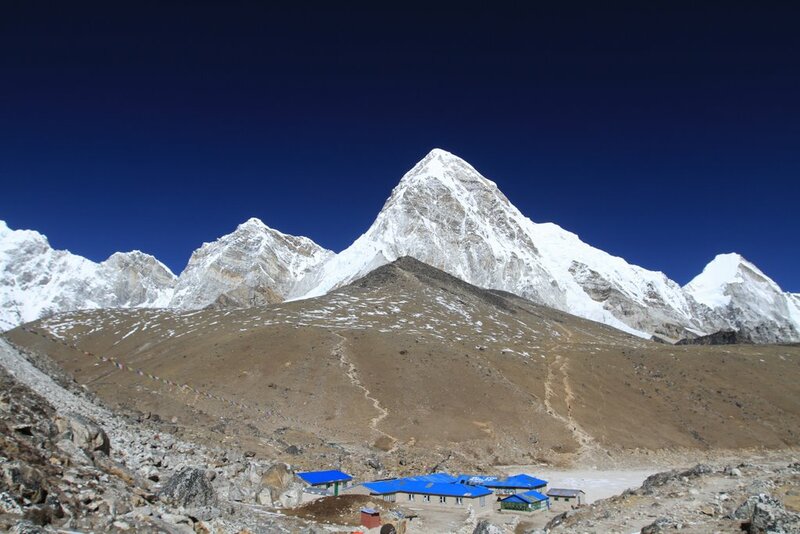 You will climb Khumbu Glacier and cross the Changri Glacier to Gorak Shep. The views are really stunning. Overnight in Everest Base Camp. Your condition will be checked today before you move on. If the condition is found good then hike to Kala Patthar. 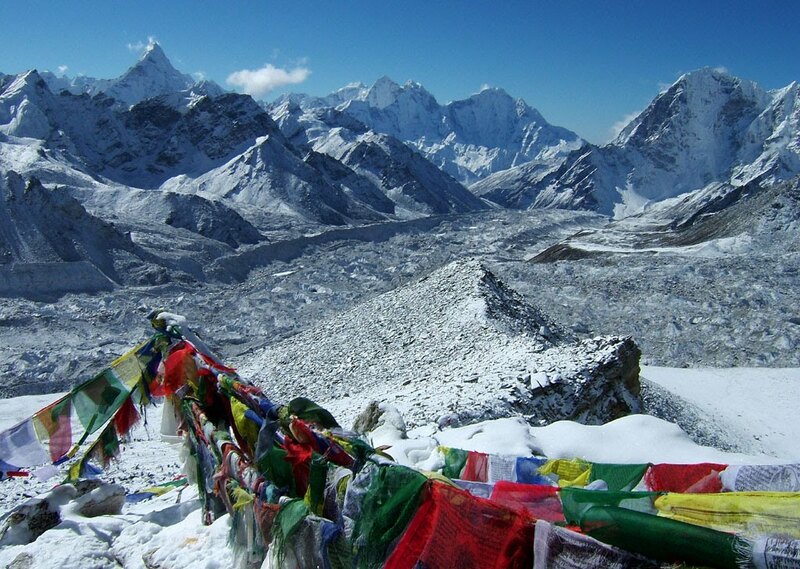 Enjoy an early morning hike to an excellent viewpoint of the Everest region, with panoramic vistas of the front of Mt. Everest and Pomo-Ri. Kala Patthar is a notable landmark located on the south ridge of Pumori. 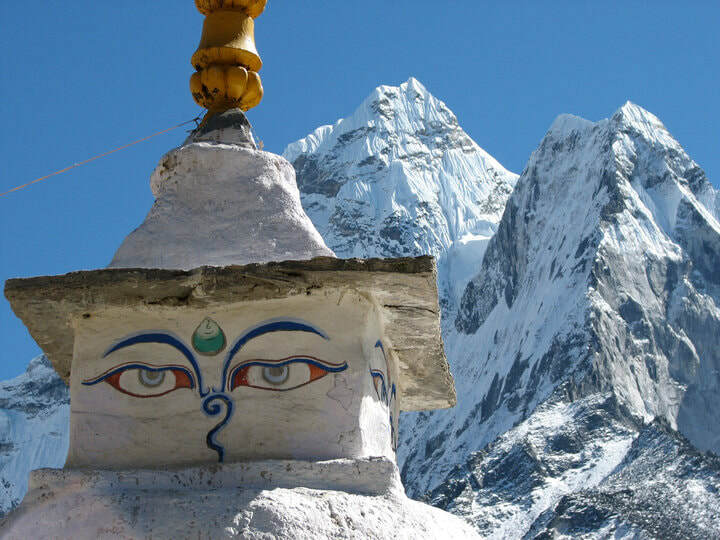 The ascent of Kala Patthar begins at Gorakshep, the original base camp for Mt.Everest. Back to hotel for breakfast and trek down to Pheriche. Today’s trail is not too much up and down, following a gradual ascent through a forest to the Phortse. This is the beautiful remote village in Khumbu region with spectacular mountain scenery. Meet with the local people and chat with them if you like. The trek is about 5-6 hours today. After breakfast trek around one and half hour up to the Khumjung, at the foot of the sacred Khumbi Yul Lha. The village of Khumjung is situated near the peak of Khumbila, from which this region is named. The local monastery is well known for housing what is purported to be the scalp of the infamous Yeti. You will leave Khumjung passing through the school where Sir Edmund Hillary raised funds. His legacy and the great work he started here still continue. 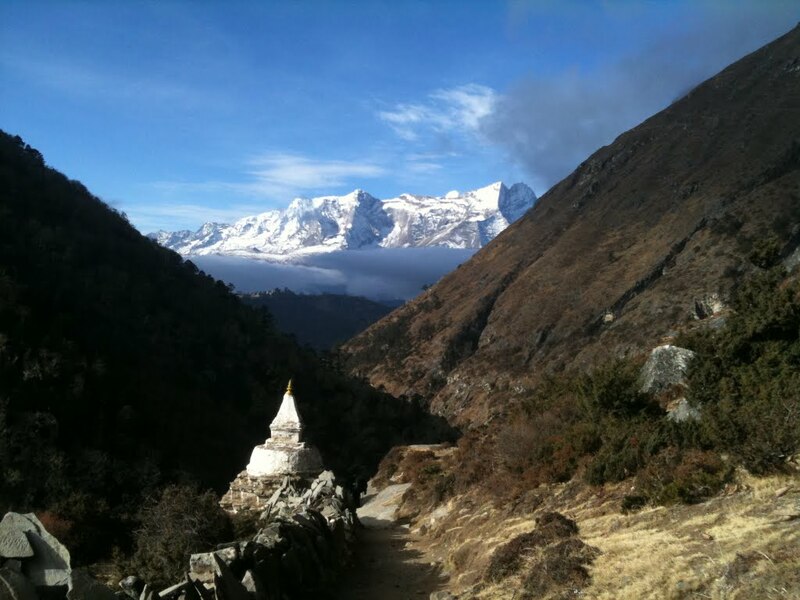 You will head towards Namche where you’ll spend a few hours before we leave for Monjo. As you reach the peak of the mountain you are destined with spectacular views of Namche from above. There is a very distinct tree line that you notice as you trek through the mountains. As you descend landscape continues to become greener. Beautiful waterfalls and streams are common as you walk down. Hike down a steep trail to the Dudh Kosi and trek down. You’ll have a long and leisurely trek back to Lukla. Celebrate your trek at a local tea house and gaze back at the jagged peaks of the mountain you’ve enjoyed. Bid adieu tonight to your trekking crew. Fly from Lukla to Kathmandu. Enjoy panoramic mountain views and spend the rest of the day sightseeing, exploring, shopping or just relaxing. It’s a leisure time in Bhaktapur, where Richard will take you on a morning walk the rest of the day is free for shopping, sightseeing or relaxing. This is an extra day in case of bad weather. Your final day in Nepal is a free day. You do as you like. Many people take the time for shopping others enjoy exploring the cultural sites of the city. ​Farewells! Our airport representative will travel with you to the airport. Please fill out the form below to express interest in joining this Epic trip, we have to prepare, get fit, and train, and as such I will close applications for this trip 6 months before we are due to go. We need a min of 8 of us for this private Gay friendly trip at the price quoted, which is less than booking direct to join a scheduled trip one of the best locally owned trekking companies in Nepal. Arrive in Kathmandu on the 1st November 2019 to experience the ''Chat'' festival on the evening of the 2nd. Book your international return flights for the 17th or stay on a few days. Goku and Tika have been requested as our guides again for this trek. Trekking off the main trail to the village of Phortse - one of the more traditional Sherpa villages in the Khumbu region.